NOS Set of steel plating for Geiger pinball machines. 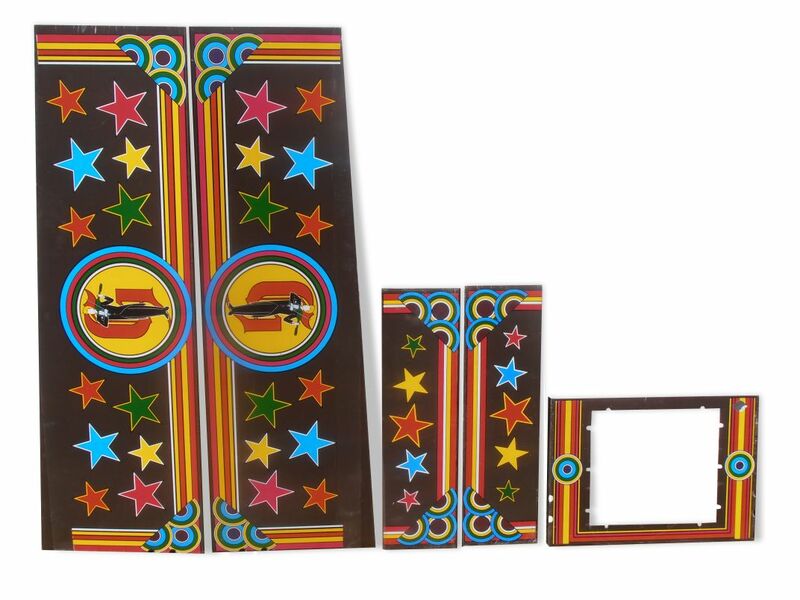 The Geiger pinball machines were conversion kits with names like Miss World, Fly High, La Retata and others. Conversions of early solid state machines like Kiss, Evel Knievel, Eight Ball, Supersonic and others. Not all conversiones were made with the Geiger steel plating. This is your chance to make the conversion complete. 5 Piece NOS Set, with protective foil still on it ! Plates can have minor scratches due to long storage and moving. Limited stock ! Price: EUR 165 for a complete set, shipping not included. Interested? Fill out the contact form. Price per set: EUR 186 + Shipping. Need more sets? Fill out the contact form.